The chat will be moderated by Con Sotidis (@LearnKotch) and the questions will be around the need for L&D to be consistent with the needs of the business. To join the chat, go to Twitter at 8pm on 13/5, search for @OzLearn and join in the conversation (don’t forget to add #ozlearn to your tweets). 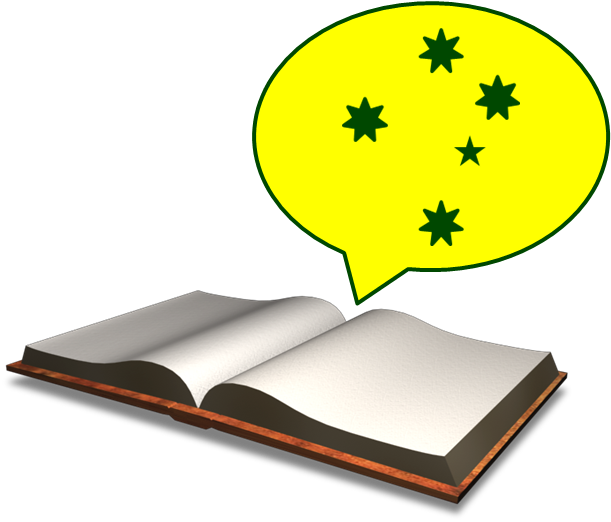 There is also an OzLearn LinkedIn group where you can view the Storify of the chat afterwards. Hope you can join us for the chat! Blunder: a stupid or careless mistake. Alternative words: mistake, error, gaffe, fault, slip, oversight, inaccuracy, botch. This post was inspired by David Anderson’s eLearning challenge: Death, Taxes and E-Learning Mistakes. The purpose of the challenge was to highlight blunders found in eLearning courses and Articulate Community members provided many great examples of what not to do. I wanted to bring these examples together and share them here (just in case you haven’t seen the challenge). I’ve taken the blunders identified and grouped them into categories. Split attention (having to combine information together to make sense of it). ‘Previous’ button on the first slide and ‘Next’ button on the last slide. No reuse of design elements (e.g. titles are all different). Poor positioning of screen elements. Menu items in the wrong order. Timing issues e.g. characters/photos appearing on-screen at the same time, when that wasn’t the intention. No way to exit a layer. Being able to click on buttons on the base layer while viewing a layer. Branding the course with company logo on every slide. Poor alignment of screen content. Using words that don’t actually exist. Tacky font choices (e.g. Chiller and Curlz MT). Colour choices that make some of the text almost impossible to read. Font choices/sizes that are difficult to read. Too many exclamation points and ellipses. Sizing on the bullets for bulleted lists. Small text that is all jammed together making it hard to read. Images copied from iStock and have the watermark on them. Cropped characters that appear to float. Images that are various styles. Bad voiceover that fades in and out with background noise. Text-to-speech narration giving the course a robotic feel. Animation of text and objects are poorly synchronized to the audio. Media/content that makes no sense. Repeating the same information via different modes. Closed caption that lags behind the spoken word. Resources button that does not work. Boring content dump followed by a quiz. Way to much instruction for how to use the course. Default quiz and feedback slides. Courses that are excessively long. Elements like the Resources tab turned on even thought there are not resources. Some of the Community members (including myself) put together or shared some samples that show the types of errors listed above. Click here to view them. In a recent blog post, Jonathan Kettleborough talked about some eLearning errors that really give this form of learning a bad name. He referred to the mediocrity of some courses that he has completed because they contain errors that should have been picked up before the course was released. The post is definitely worth reading. Many of these blunders can be overcome by a thorough quality assurance process and piloting of the course before release – maybe a checklist of items to look for would help? The others require eLearning professionals to develop their skills and knowledge into how people process information and also how to design for the online environment. I hope that by bringing these types of blunders out into the open, we can make a conscious effort not to keep making mistakes that result in a poor user experience and generally give eLearning a bad name. 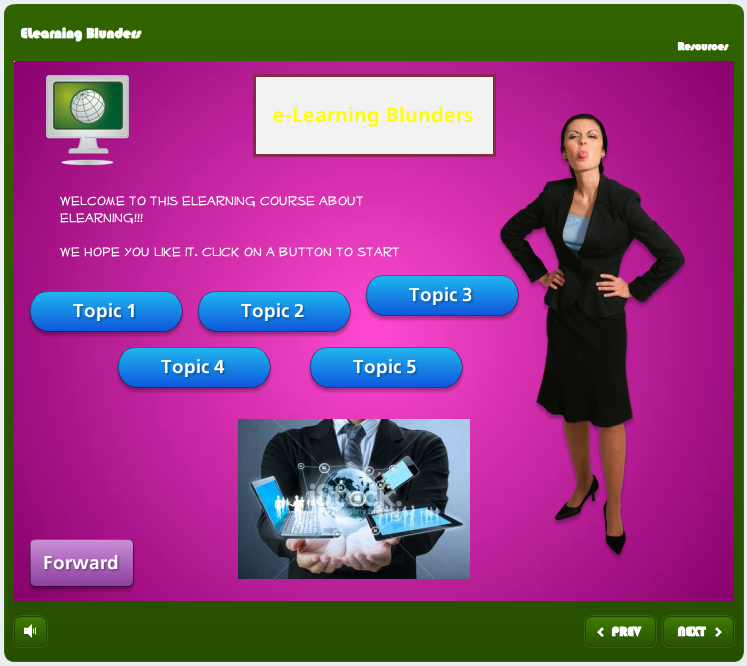 As people involved in creating eLearning, let’s eliminate blunders in our courses! What are some eLearning blunders that you’ve come across? The chat will be moderated by Tanya Lau (@TanyaLau) and the questions will be around the need for L&D to have clarity about the business in order to be aligned with the business. To join the chat, go to Twitter at 8pm on 8/4, search for @OzLearn and join in the conversation (don’t forget to add #ozlearn to your tweets). Why L&D can’t ignore alignment anymore. The chat will be moderated by Helen Blunden (@ActivateLearn) and the questions will be around how aligned L&D is to business. To join the chat, go to Twitter at 8pm on 11/3, search for @OzLearn and join in the conversation (don’t forget to add #ozlearn to your tweets). Knowledge is power and I intend to make us all powerful. A blog to take my learning forward.